The summer months were quite busy, but things slowed down after Labor Day so the base was moved to the geographic center of the normal operating area, Orange County Airport, in November 1995. The hours were also changed from 1000 – 2200, to 1100 – 2300 to better meet the periods of highest demand. 24 hour operations began in Spring 1997. January 2003 the base was moved 8 miles Northeast to new facilities at Kobelt airport. Now there was a dedicated, heated hangar and our own jet fuel truck. In 2006 a new hangar was built, a new fuel system was added and the aircraft was changed to an EC-135. 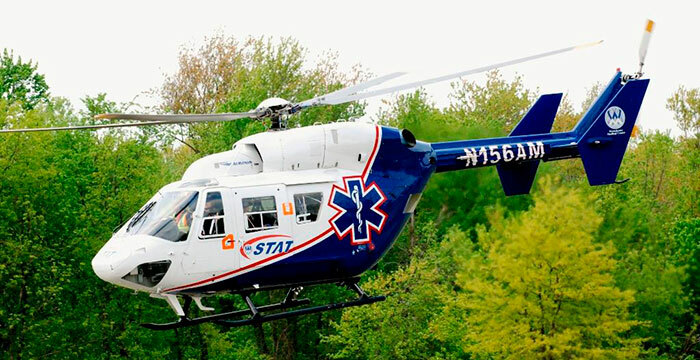 In 2015 we retired the BK117 and replaced it with the EC-145. 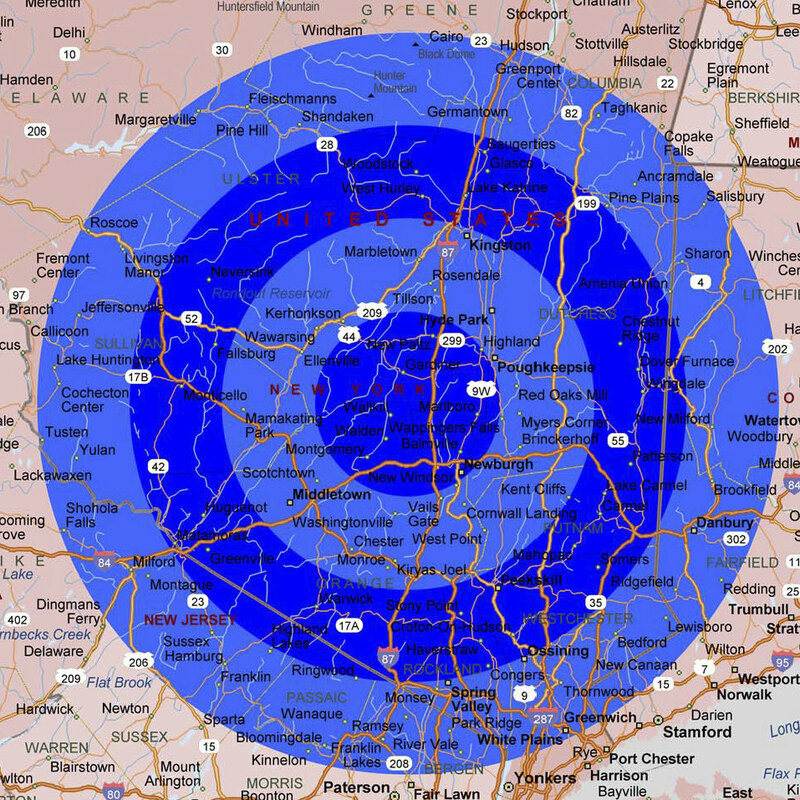 From the North - Take Interstate 87 – South to exit 18 and proceed around to stop. Take left onto Route 200 west. Take left onto NYS-208. Take left onto Plains Road/CR-21 and proceed to airport on the right. From the East - Take Interstate – 84 west to exit 7N and proceed north on Interstate – 87 north. Take exit 18 and proceed around to stop. Take left onto Route 200 west. Take left onto NYS-208. Take left onto Plains Road/CR-21 and proceed to airport on the right. From the West - Take Interstate – 84 east to exit 7N and proceed north on Interstate – 87 north. Take exit 18 and proceed around to stop. Take left onto Route 200 west. Take left onto NYS-208. Take left onto Plains Road/CR-21 and proceed to airport on the right. From the South - Take Interstate 87 – North to exit 18 and proceed around to stop. Take left onto Route 200 west. Take left onto NYS-208. Take left onto Plains Road/CR-21 and proceed to airport on the right.